We appreciate your interest in our company. For more information or questions, please send us an e-mail at any of the addresses provided below. 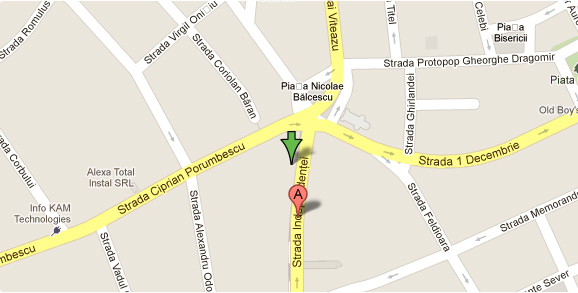 Our office is located in the very center of Timisoara. We are only 2 minutes walk from the Faculty of Computer Science and about 10 minutes walk from the University Campus of Timisoara. Copyright © Expert Software Application srl. All rights reserved. All other trademarks are the property of their respective owners.